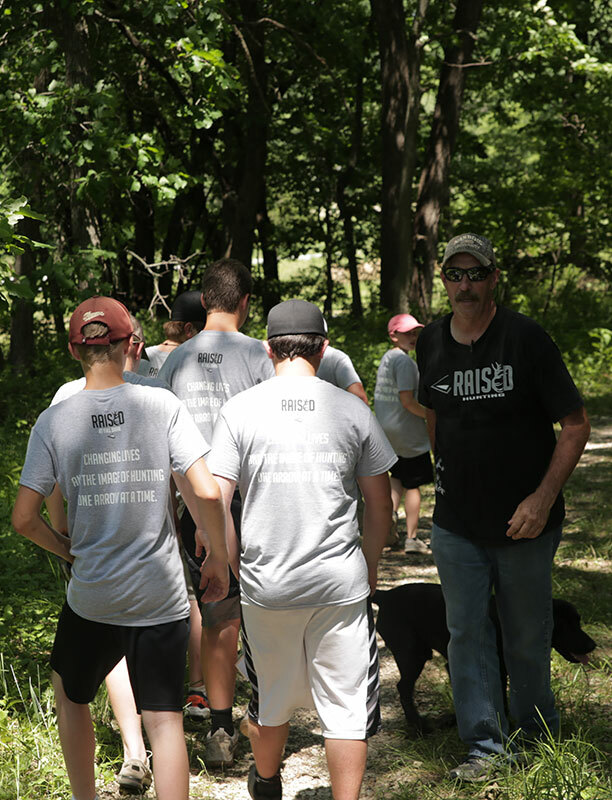 Raised Hunting is dedicated to being a difference maker in the outdoor industry. 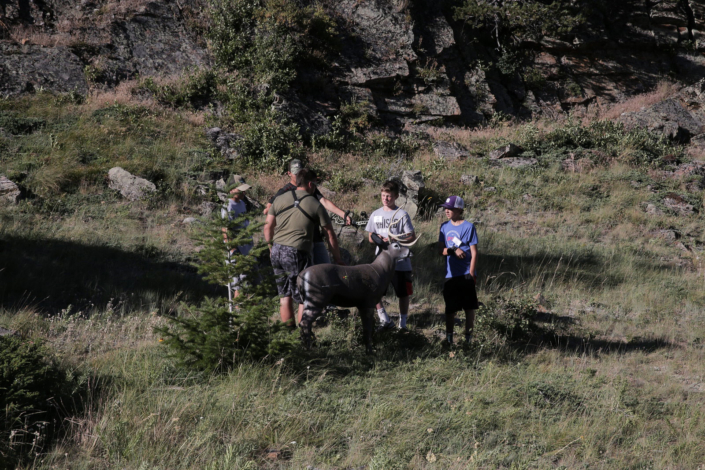 We believe in the ethics, values and heritage that hunting can instill in the next generations. 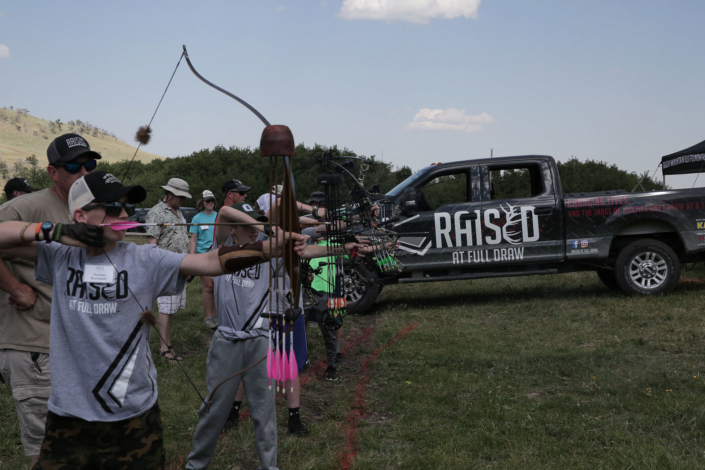 While TV may reach millions of families our Raised at Full Draw (RAFD) Bowhunting camps are designed to touch the heart and soul of those kids. Raised at Full Draw (Bowhunting camps) is a non-profit organization designed to promote archery, hunting and outdoor education. The goal of these camps is to pass knowledge and techniques on to the next generation, and allow them an opportunity to learn in a safe hands on environment. An environment where they get to practice immediately the skills they are being taught. 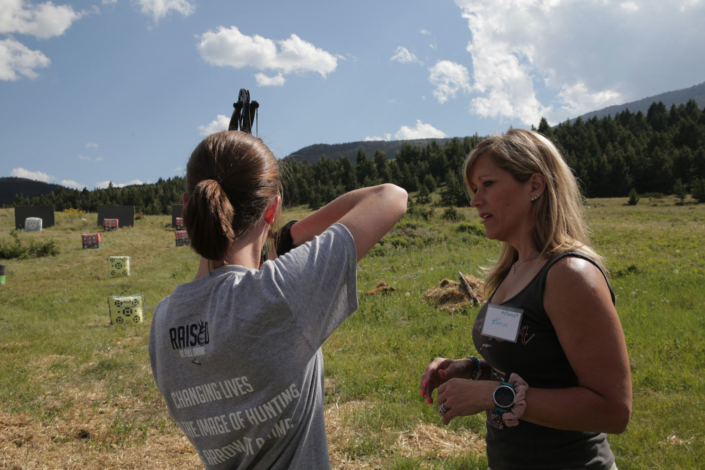 In addition, there will be a focus on how to hunt responsibly, effectively and learn all of the other attributes of ethics morals and values they come along with spending time outdoors. 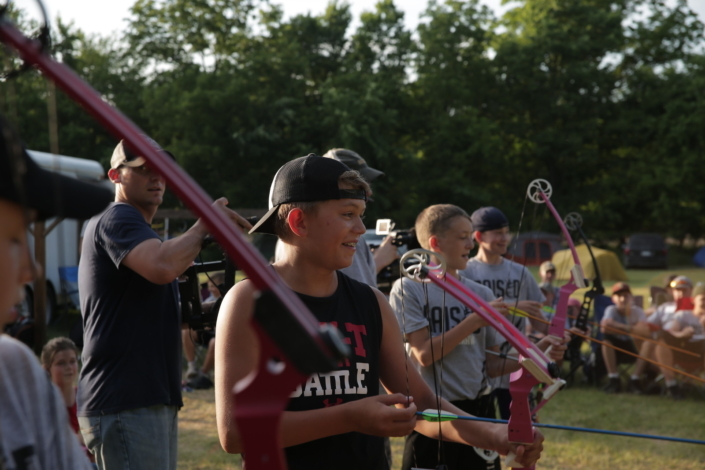 We want the kids to exit camp as skilled archers, but more importantly we want them to leave with an appreciation for hunting and the outdoors as a whole. 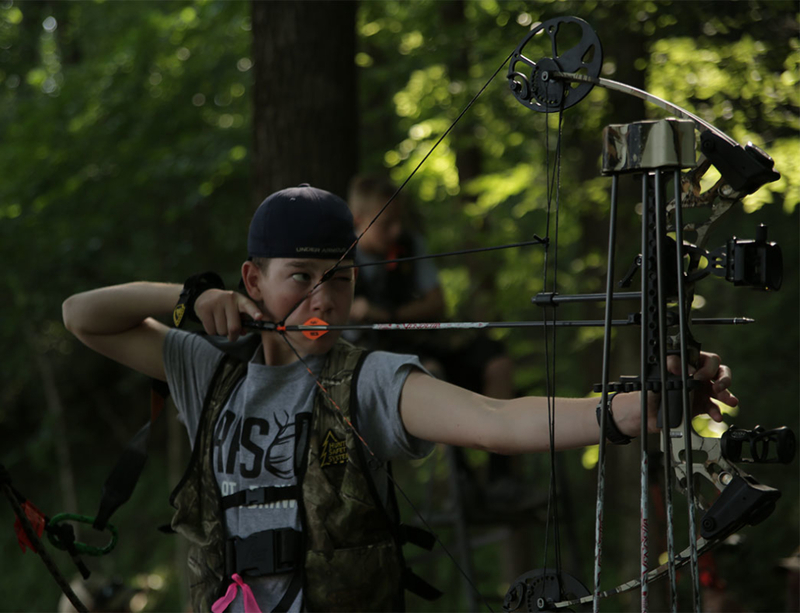 Camp will follow the curriculum of the National Bowhunter Education Foundation (NBEF) book which is titled “Todays Bowhunter”. The daily schedule will consist of stations for each chapter in the book and nightly activities that will directly relate to the lessons that where taught earlier in the day. 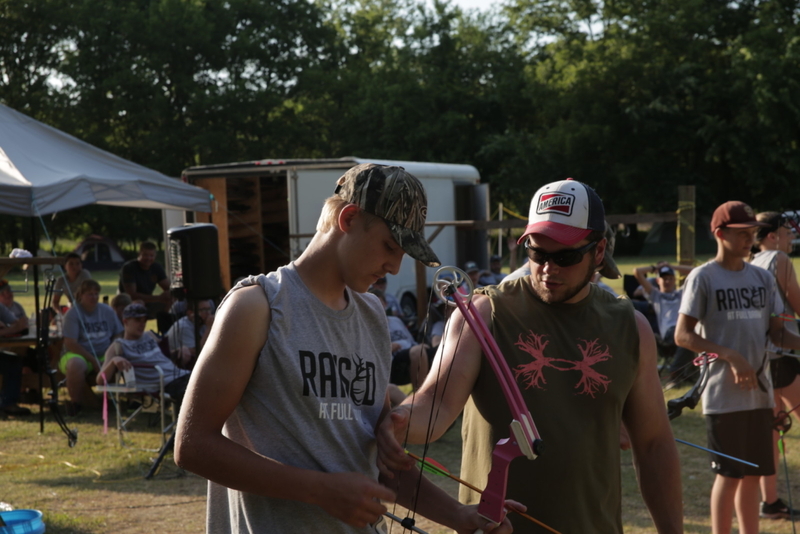 Campers that need or want a bowhunter education certificate, will have the opportunity to leave camp with a (NBEF) certification that is recognized internationally. Raised At Full Draw is excited to announce that we are heading to Bourbon County Kansas in June 2019! This unique diverse landscape of rolling hills, Osage Plains, river lowlands, and hardwood bottoms is home to giant World Class Whitetails and an abundance of wild turkeys. This area is a deer and turkey hunter’s paradise. The area’s rich farmland and bountiful timber is promised to be a great setting for the next Raised At Full Draw camp. 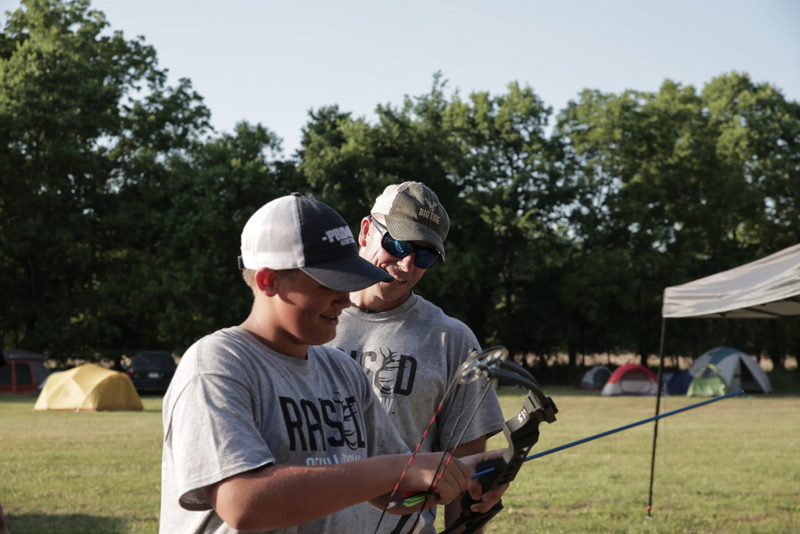 Campers will not only leave camp with a greater love for the outdoors, they will have a deeper understanding for the need to promote and preserve out hunting heritage. 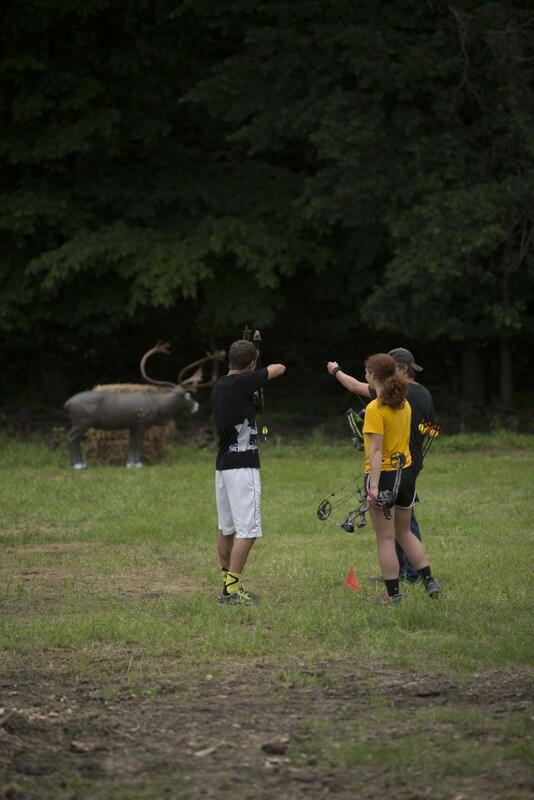 Like our Iowa and Montana camps, the 3-D archery course consists of a minimum of 20 targets with a diverse species of North American game challenging all levels of shooters. From rabbits to raccoons, to bears to bulls. This 3-D range has it all! The targets are strategically placed throughout the terrain to teach the best skill sets in hunting. Shooters will be faced with a multitude of hunting situations. In every circumstance, the certified RAFD instructors utilize our hands-on teaching approach that allows the shooter to make the best ethical decision for a quick clean kill. This camp doesn’t only teach proper shot placement and retrieval of game, it exposes the youth to various hunting methods that will allow them to become better hunters. 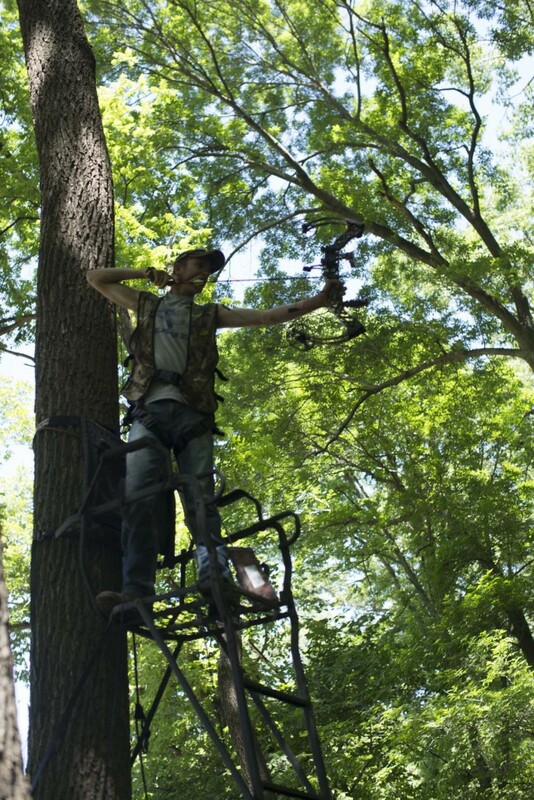 We teach tree stand hunting, ground blinds, and spot and stalk hunting methods. Our educational curriculum has been has proven to give our students the best up-to-date information for them to succeed in the outdoor sports. 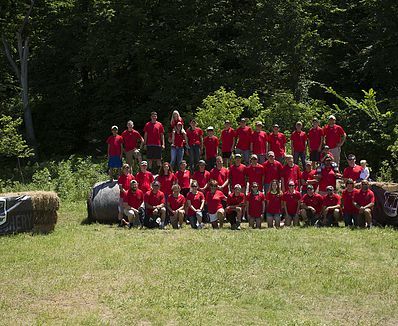 If you’re looking for the most hands-on and informative hunting camp you have ever imagined, you have come to the right place. Turning today’s youth into tomorrow’s future…. 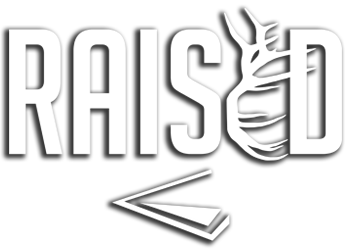 Welcome to RAISED AT FULL DRAW! Choose which camp waiting list you would like to be added to. The Iowa camp is hosted in the rollings hills of southwestern Iowa, better known as “the land of the giants”. With lush agriculture lands and mature hardwood bottoms, the Iowa camp is a deer and turkey hunters dream come true place. In this camp, we work extensively on treestand safety and the proper use of ground blinds, while focusing on whitetail deer and wild turkey hunting. We also cover in detail the art of finding your game after a shot, when and where to take that lethal shot. Each of our RAFD camps are unique to the location where they are being taught. The Iowa camp is hosted in the rollings hills of southwestern Iowa, better known as “the land of the giants”. With lush agriculture lands and mature hardwood bottoms, the Iowa camp is a deer and turkey hunters dream come true place. 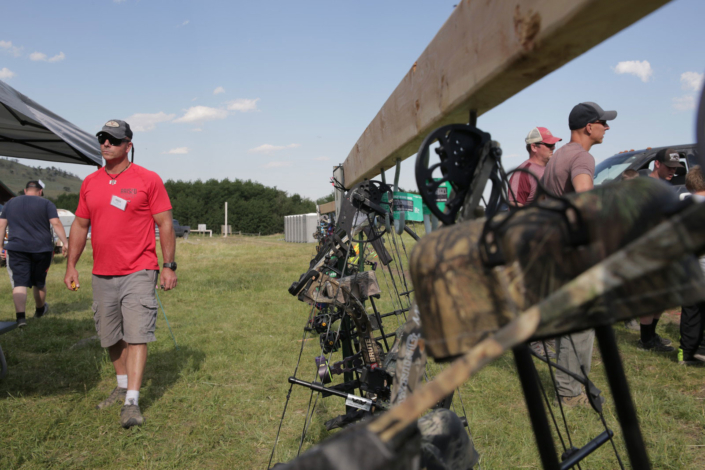 The 3-d course consists of a minimum of 20 targets varying in species from bears to bulls, carp to canine. 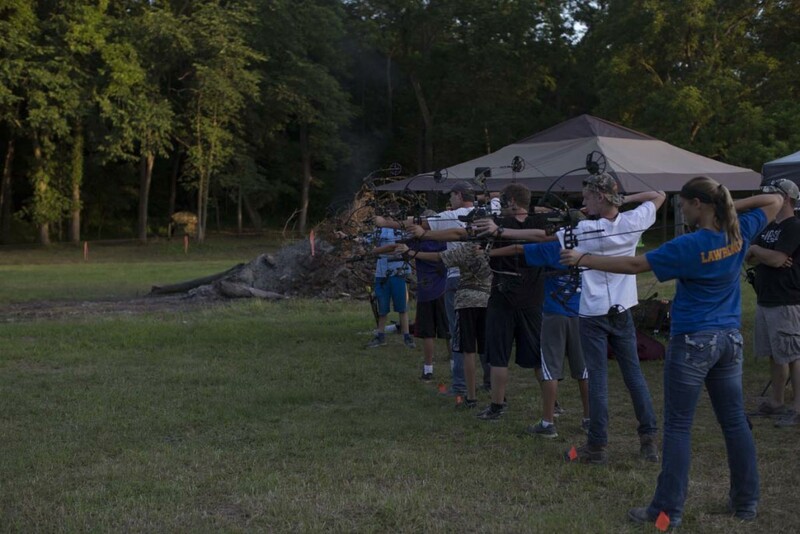 The targets are strategically located to teach the best skill sets in hunting. Shooters will be faced with all sorts of situations, uphill, downhill, in cover and in the wide open, but always in an effective range for a quick clean kill. If your looking for the funnest hunting camp you have ever imagined, you are looking for Raised at Full Draw! Each of our RAFD camps are unique to the location where they are being taught. The Montana camp is held on the Cobb Ranch, just outside beautiful Augusta, Montana. 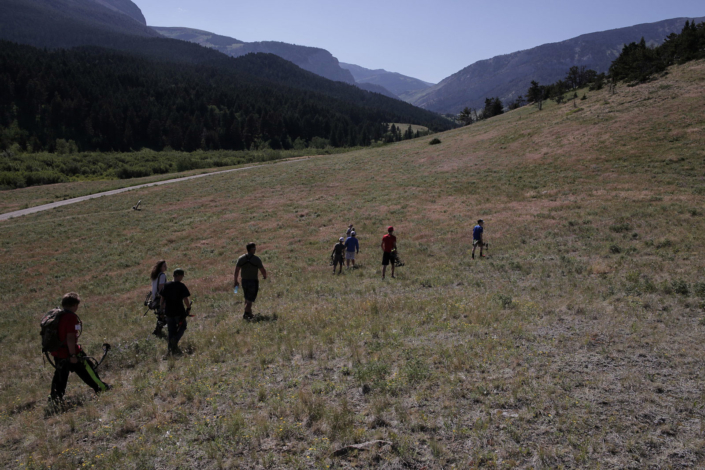 17 miles into the mountains, below snow capped peaks, and in the heart of a dense pine forest, you will find one of the most spectacular and rewarding camps ever offered. Camp is focused on a variety of species. Due to the plentiful and diverse ecosystems and species offered in western states this camp works extensively, but not exclusively on spot and stalk techniques. Along with treestand and ground blind setup, safety and survival is taught to prepare our young new hunters for any and all types of conditions and situations We also cover in detail the art of finding your game after a shot, when and where to take that lethal shot. Take I-15 to exit 290 (US89/MT 200) Stay on MT200 until you reach the junction for MT-21. Follow it for 21 miles. Turn left on Hwy 287 to Augusta. Go thru town to Benchmark Road. Signs will be posted! At the fork, go straight ahead and camp will be a couple of miles down that road. If you get lost or are unsure; please call Ladonna at (406) 868-3589.
land with a large quantity of valuable timber and several waterways including the Wolf River and the 6,215 acre Shawano Lake. Shawano County is a recreational paradise with many miles of ATV and hiking trails. Snowmobilers and cross country skiers also enjoy these trails during the winter months. Shawano County is a great setting for the next RAFD camp. Campers will not only leave camp with a greater love for the outdoors, they will have a deeper understanding for the need to preserve and promote our hunting heritage. The Shawano camp is located just North East of the City of Shawano in a 300+ acre recreational paradise surrounded by lush oaks and conifer trees. 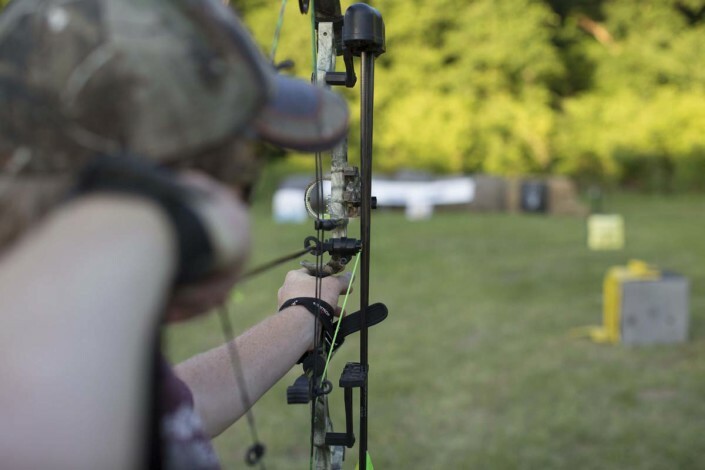 Like our Kansas, Iowa and Montana camps, the 3D archery course consists of a minimum of 20 targets with a diverse species of North American game, challenging all levels of shooters. From rabbits and raccoons to bears and bulls, this 3D range has it all! 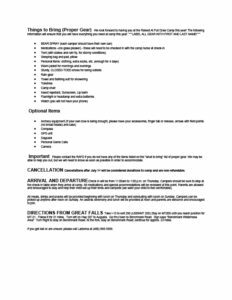 Please contact the RAFD if you do not have any of the items listed on the “what to bring” list of proper gear. We may be able to help you out, but we will need to know as soon as possible in order to accommodate. All medication must be checked in with the camp nurse when campers arrive on Thursday. Please indicate any special instructions at that time. In certain cases, the camp nurse may be in contact with you prior to camp if the camper’s registration indicated that special accommodations may be needed. If you have any questions or concerns, please contact the RAFD prior to camp. Any camper with dietary restrictions that may need to bring their own food must check those items in at check in on Thursday. Those items will be stored securely in the kitchen area. You can register online and mail in payment by completing the online registration, but if you would prefer complete paper registration please print the following documents and mail in with payment. Check in will be from 11:00am to 1:00 p.m. on Thursday. 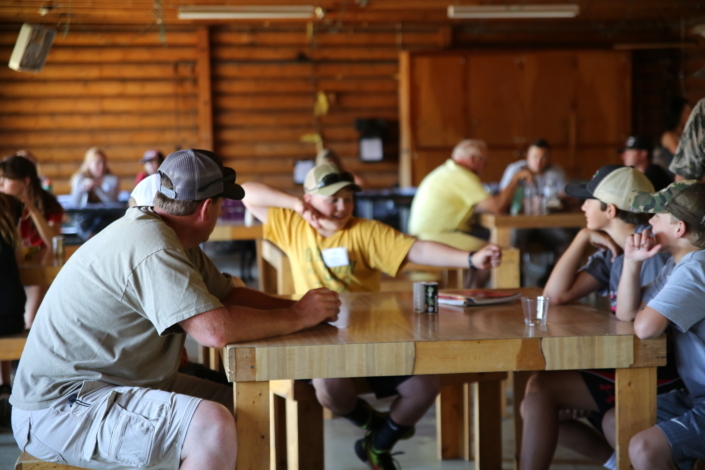 Campers should be sure to stop at the check-in table when they arrive at camp. All medications and special accommodations will be reviewed at this point. Parents are allowed and encouraged to stay and help their child set-up their tents and campsite (we want your child to feel comfortable). All meals, drinks and snacks will be provided beginning with lunch on Thursday and concluding with lunch on Sunday. Campers can be picked up anytime after noon on Sunday. An awards ceremony and lunch will be provided at noon and parents are welcome and encouraged to join. Electronics (video games, iPods, etc.) Cell phones will be allowed, but will be checked in at the beginning of camp, and checked out for limited use (to check in with folks) at specified times during camp. Outdoor showers are provided, even though enclosed, kids may feel more comfortable showering with a bathing suit on(this is the only place bathing suits will be permitted). RAFD camp does not have a dress code, however, if we feel that clothing is inappropriate in any way, we may ask the clothing be changed, if the camper disagrees they can be asked to be excused from camp. No bullying, name calling, or foul language. Respect your peers, volunteers and property. Use the buddy system. Stay in groups of at least 3 people. No boys and girls in tents together. No boys in the girls shower area, and vice versa. No game calls (camp often provides things that make noise, ie. Turkey calls etc…) after lights out. Lights out at 10:30 pm unless camp programs run later. For all other infractions volunteers are trained to discipline in a “three strikes” manner. Strike 1: Volunteers will document the situation and talk to the camper. Inform them that what they did was wrong and why. In some cases, the camper may be asked to sit out of an activity for a period of time. Strike 2: Again, the volunteer will document the incident. 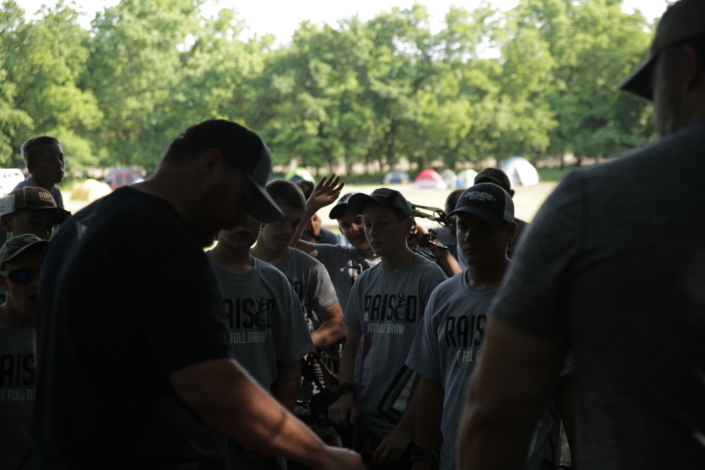 At this time, the camper and volunteer may draft a behavior agreement where they discuss the problem and list ways to correct the problem as well as the consequences of further misconduct. This document will be signed by both the camper and the volunteer.